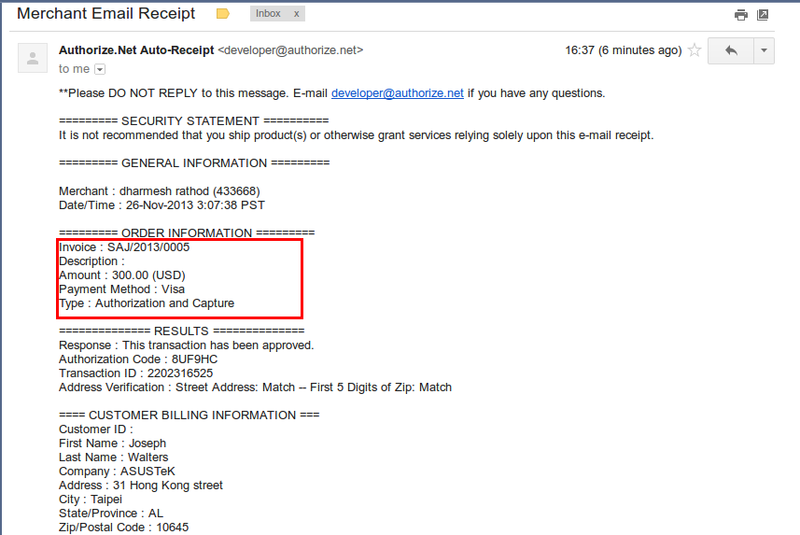 We have implemented solution for allowing payment process via Authorize.Net from OpenERP. We are still improving this module by adding new functionalities. 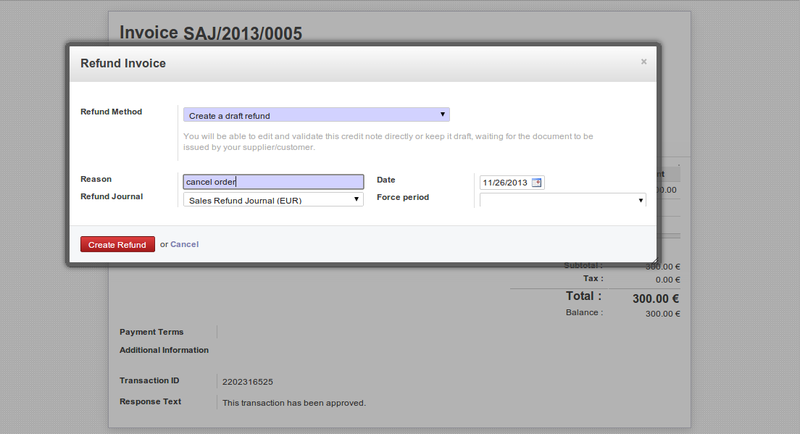 Currently we have implemented feature with Customer Invoice and Customer Invoice Refund. In OpenERP, first we have to configure credentials for conneting with Authorize.Net. we are working on encryption/decryption of credit card information. For payment process, it requires customer address information. 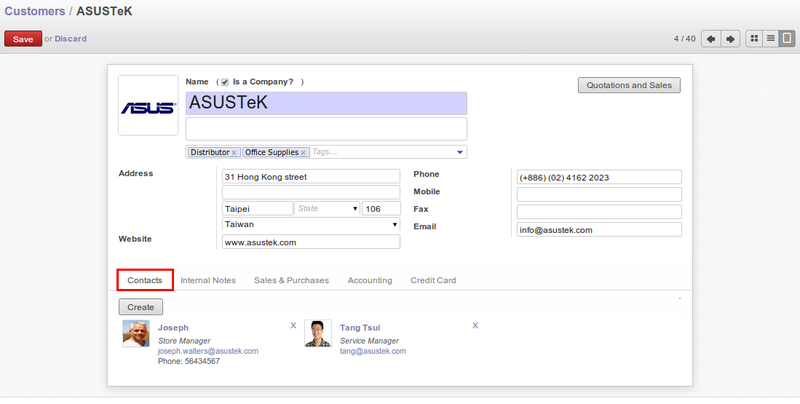 We are directly taking “Invoice” type address information from customer. 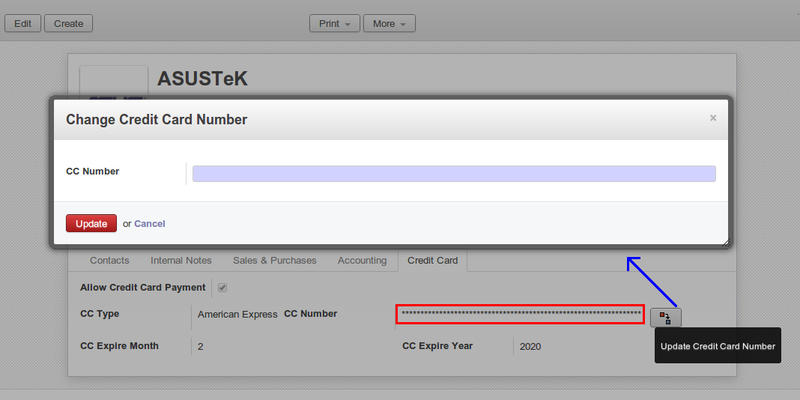 Also added new fields related to Credit Card information. Currently we are processing with only one credit card. In future we are going to add feature for defining more than one credit card and activating one of them or ask user to select anyone. 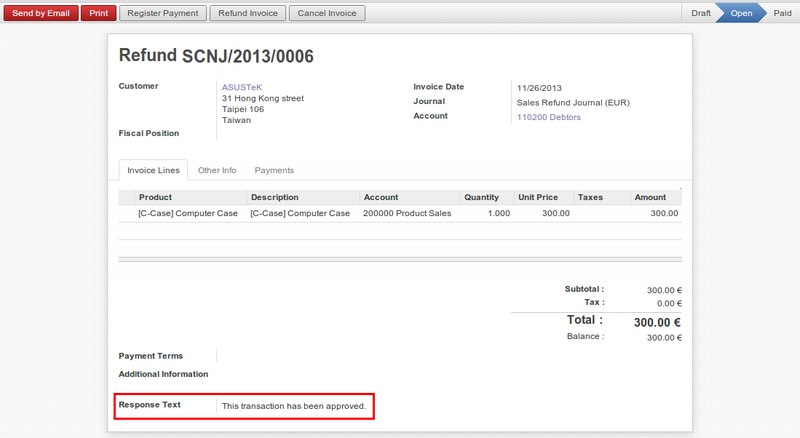 If “Allow Credit Card Payment” is TRUE then it will allow to do process. This field is useful during automatic payment process by cron job. In below screen, we can see that credit card number can be change and how it will look like. Here we have used AES algorithm to store credit card information for security purpose. We are using this algorithm for encryption/decryption. 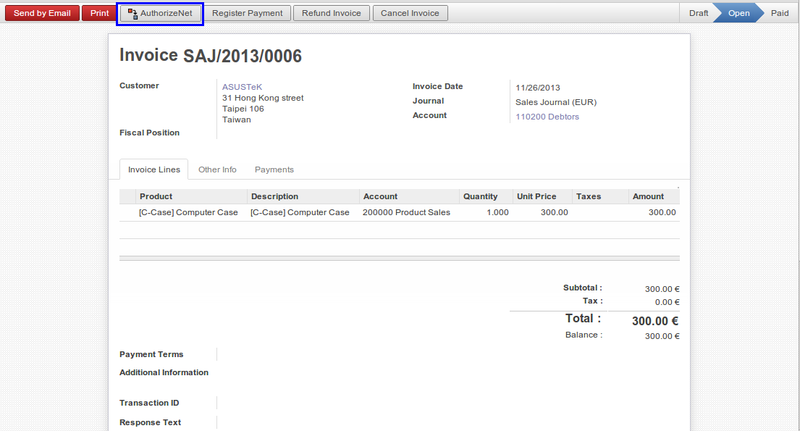 Currently we put option for payment in Customer Invoice and Refund Customer Invoice. After payment procedure, OpenERP will get response from Authorize.Net with information like “Transaction ID”, “Response Text”. Company will get an email also once payment request is completed. Sometimes, if we want to pay back to customer because of any reason. 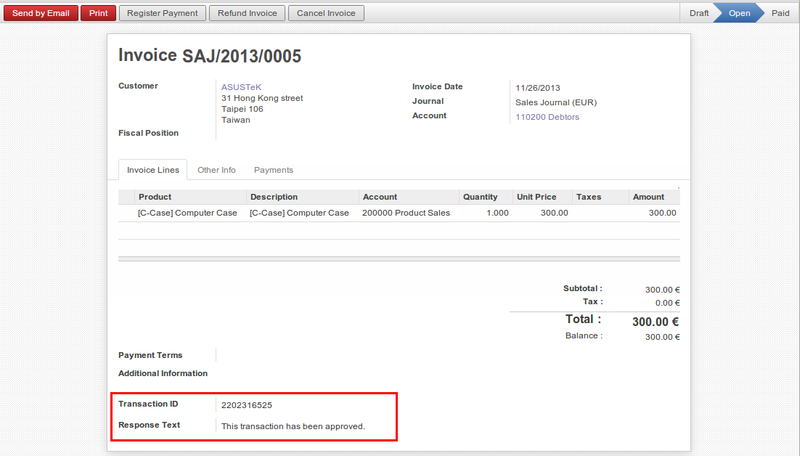 We have implemented feature that we can easily pay from Refund Invoice. But refund invoice has to be created from existing Customer Invoice only. 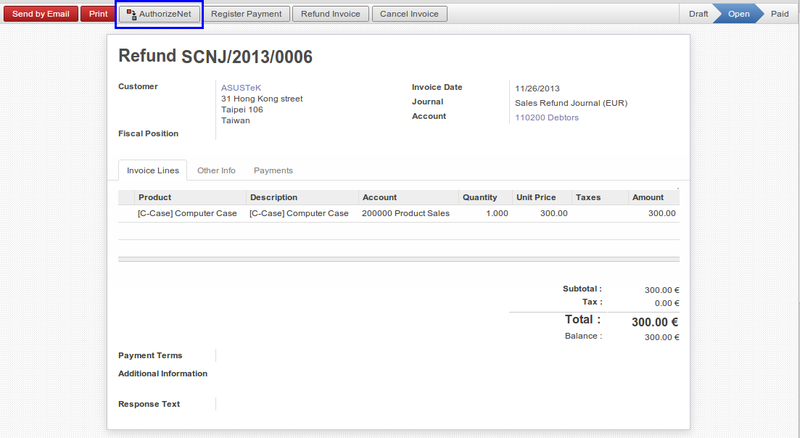 We can have the same process in Refund Customer Invoice also. We will get same response during refund procedure if our transaction is completed successfully. We are going to implementing this feature for Voucher and POS. You should turn off test mode in the sandbox for the gateway to function properly.